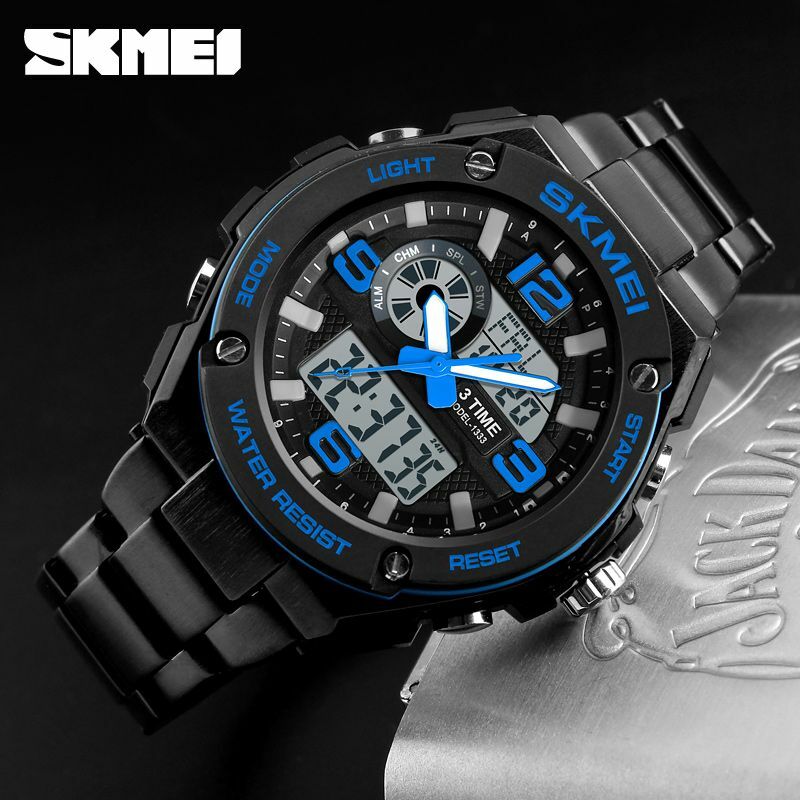 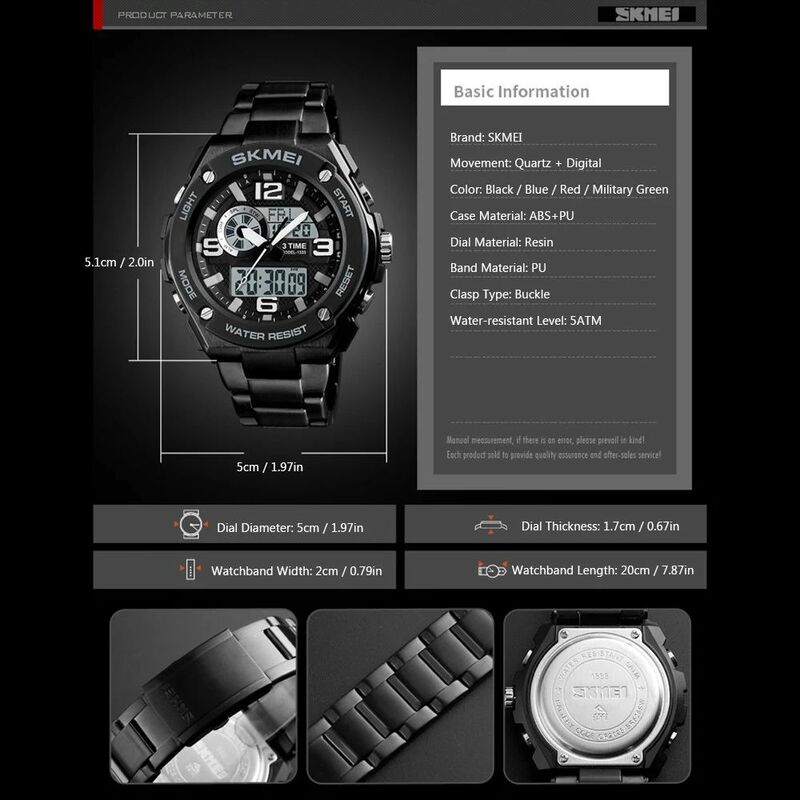 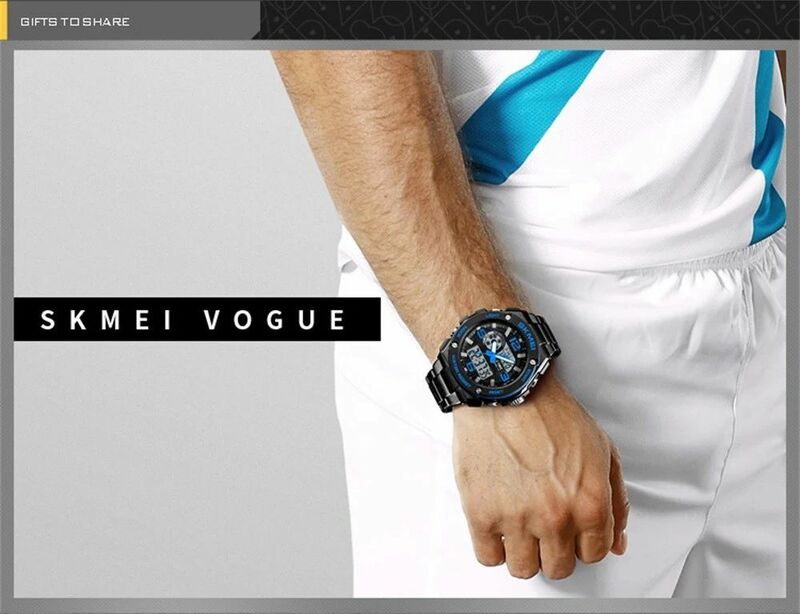 3 time chrono display and analog-digital time display, perfect for business men. 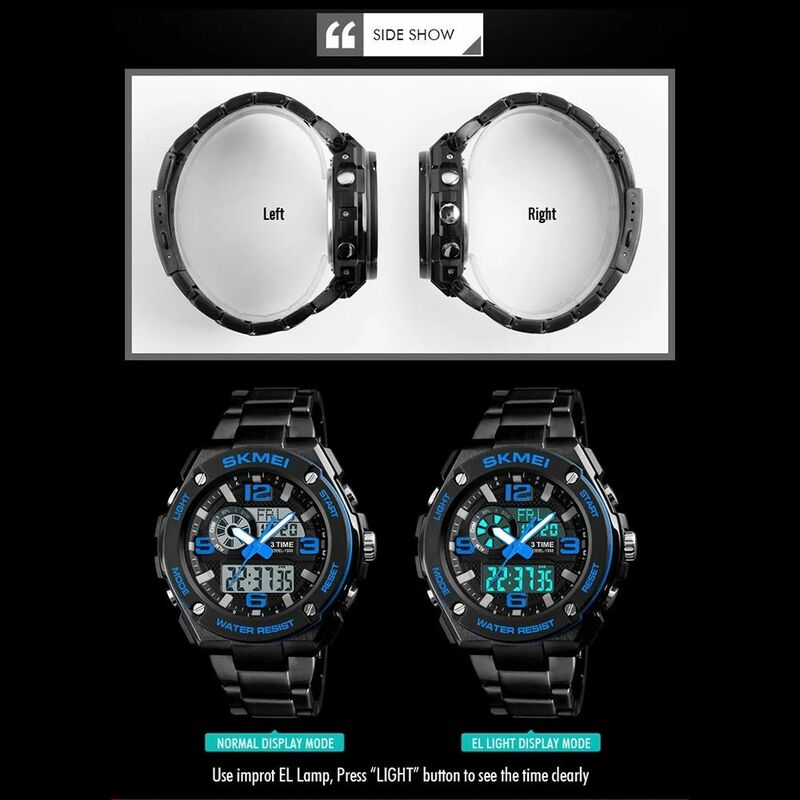 Quartz and digital movement provides more accurate time display. Classical round dial design shows your charming. Stainless steel band is durable and comfortable to wear. 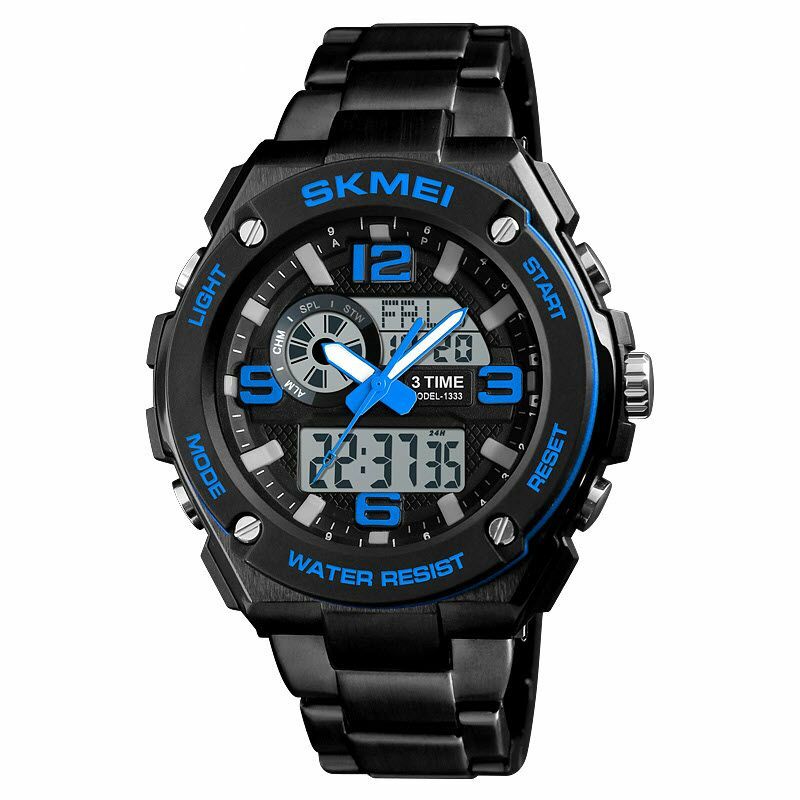 Easy to use and great for running and outdoor sports. Water resistant (5ATM): Daily water resistance (not for showering and swimming). 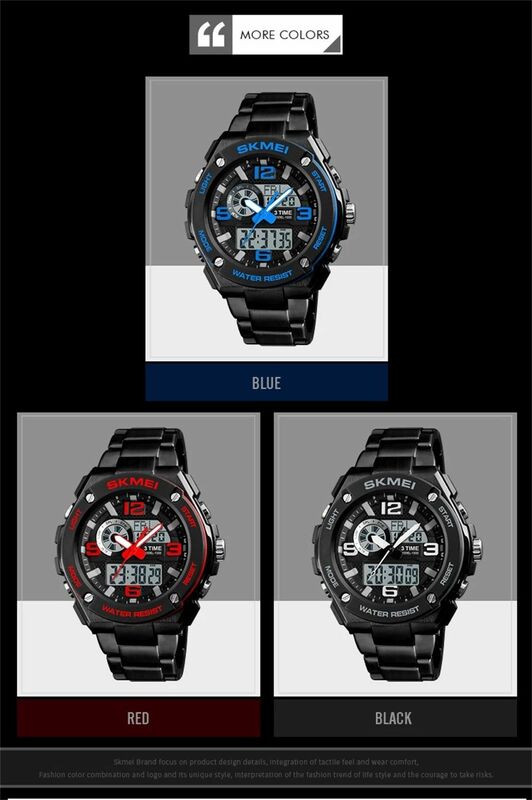 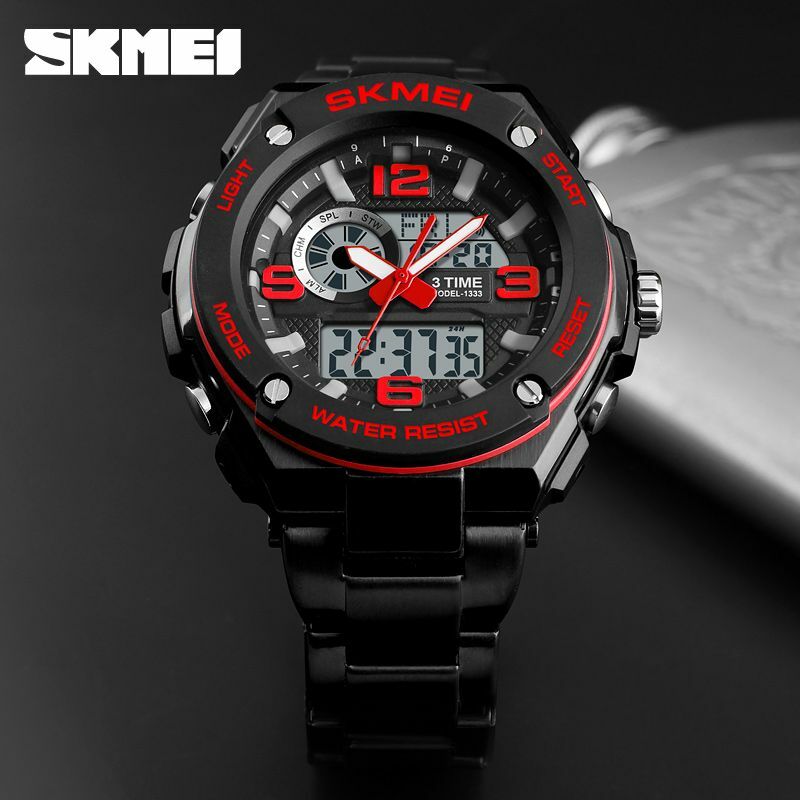 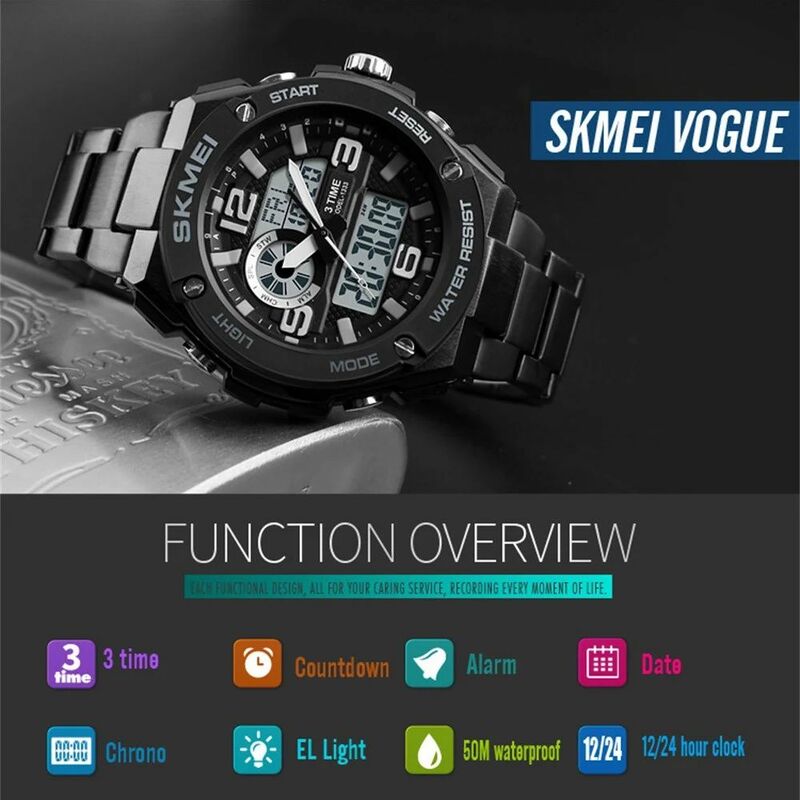 Functions: 3 time chrono display, countdown, dual time, stopwatch, calendar, week, alarm, 12/24 hour time setting and back light.